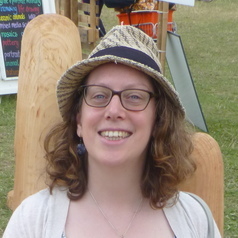 Zena is Lecturer in Roman Archaeology in the Department of Classics, Royal Holloway, University of London and has a PhD in Roman Archaeology from the University of Oxford ('Water Management and Supply in the Near East 63 BC - AD 636'). Before moving to Royal Holloway, Zena worked with Professor Chris Gosden at the University of Oxford on the 'English Landscapes and Identities' project and with Professor Karl Galinsky on the 'Memoria Romana' project. She was also Assistant Director of the Marcham/Frilford excavations at the University of Oxford. 'Photographing the Romans' - exploring how people have photographed archaeological sites from the 19th century to the modern day.